A Skipped Generation No More! So, I may have talked about the fact that I’m a huge Pokémon fan before but if you haven’t noticed it, I really am. 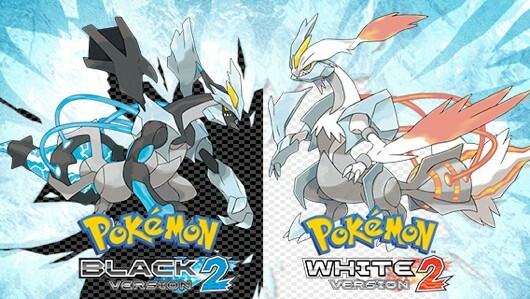 My first game was Pokémon Blue and I have atleast one game of every generation that has ever come out, bar one: the Black & White 2. At the time I thought it was nonsense to get a game that was in fact the same as another one with maybe a new legendary Pokémon so I never looked much at the generation. Over the years I heard that there were some significant differences between the original B&W versions and the V2 ones and slowly I started to wonder if I did the right thing by skipping this generation entirely. Fast forward to the present and GameFreak is going the same thing to a new series with UltraSun and UltraMoon. I figured that if I was going to pick one of those up out of curiousity I might aswell go back in time and pick up the one generation I skipped in the form of Pokémon White 2. After a bit of searching I had one of my coworkers pick up the game on Wednesday from the town where he lives and I got it delivered to me on Friday. My first impressions of B&W2 are positive. Even though it’s a 5 years old game the graphics still hold up quite well. It’s the familiar Pokémon recipe and so far the hand helding has been quite minimal. The game really plays into the whole “you need to have played B&W before this” theme with references to two years ago from the moment you start up this game. Unfortunately for me my Black playthrough has been so long ago that I barely remember it. For instance I had forgotten how much of a futuristic/technical vibe they were trying to go with this generation and after the silly island stuff from Sun and Moon this is quite a nice difference. I do realize that all the online features have closed but f or me it’s not really about the cutting edge, I just want to play through the game for the story and to experience the one generation I’ve not played. So if I can do that in the form of beating the Elite 4 and do the postgame content I’m happy. I chose Oshawott as starter this time seeing as I chose the grass starter in my original Black playthrough and I really dislike Tepig and it’s evolutions. Oh as starter it’s a cute little piggy but I really dislike his final evolution and the one from Oshawott is quite doable. This game really wastes no time to get you going either. Your mom is a very proactive person at the start. Apparently she’s friends with Professor Juniper and gets’ a phonecall that she sent her assistant your way with a Pokémon and a Pokédex. Mom then tells you it’s time for you to start your journey. Well okay then, it’s not like I have a choice here? You meet your rival at the start and you get your Pokémon and the Pokédex from Bianca, who apparently did something in B&W aswell before you’re sent out to catch your first Pokémon and head to the next town. That’s the introduction really. Not as hand holding as X&Y are or SuMo. Obviously you battle your rival at the start but from there you’re on your own. I made it to the second city, catching a Furrloin and a Patrat along the way and promptly I got ambushed by Alder (who is also from the original B&W) who wants to “train” me. Oh boy. This is kind of where I stopped with the game. It was late and I wanted to think if I really wanted to start this game properly now when I was actually focused on doing the postgame content in Moon. However since I need some inspiration for my blog and I can do a main Pokémon game and the Moon postgame at the same time I’m just going to go ahead with this White 2 playthrough and hopefully make some nice to read blogposts about it, even though the game is old and most people have probably beaten it by now. I still like to talk about it though. So yeah going to poke around in Pokémon White 2 and talk about it here while also finishing the post game in Moon, and maybe talk about that here. All in all I gave myself enough to do for now and next to FFXIV and my recent return to GW2 I’m pretty sure I’m saturated when it comes to games.